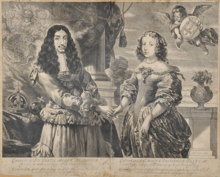 Charles II was born on May 29th 1630 at Saint James's palace in London.He was the first surviving child of Charles I and his French Queen Henrietta Maria. He had a happy and secure childhood with his brothers James and Henry and his sisters Elizabeth and Mary. During his boyhood he often witnessed his father govern in the banqueting room at Whitehall.However the 1630's was a difficult time for Charles as his perogative was being increasingly challenged as regards taxation, the established church, foreign policy and command of the army by the presbyterian and puritan factions in parliament.Civil war broke out in 1642 and the young prince of Wales was present at the Battle of Edgehill but he was too young to participate. After the royalist defeat at Naseby in 1645 his father urged him to go to France for his personal safety. 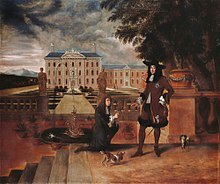 After the execution of the king the jprince was declared Charles II by all royalists and he was determined to recover his birthright. He hoped to do this with the help of a Scottish army so he landed in Scotland where he was crowned king at scone on New Year's jDay 1651. Sadly he was defeated at Worcester by cromwell, Fleetwood and Lambert. He managed to escape to the continent but he was seen as a mere penniless refugee by Cardinal Mazarin who ruled France all but in name. When the Fronde broke out c.1648-1652 he had to leave paris. 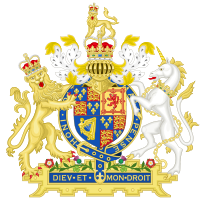 This was a national rebellion by the princes of the blood who wanted a greater say in running the country, unlke the republican rebellion in England. He went to The Hague for a while but he had to constantly move from placeto place as the Commonwealth was gaining incresing respectability. With hopes of a French alliance lost he hoped to court the Spanish and raise an army with their help from royalist soldiers and officers who were sharing his fate on the continent. When Spain was defeated at the battle of the Dunes in 1658 by France and England he was quite demoralised. However he was supported in his exile by such astute intelligent men as Edward Hyde and James Butler later Duke of Ormond. Cromwell died in 1658 and during the protectorate of Richard Cromwell the tide began to turn. England was tiring of radicalism, military coups and war. brothers Sir Edward Montague General at sea and Pepys. When he arrived in Dover he lovingly greeted monk with the word "father". He entered London on his thirtieth birthday and never left England again. 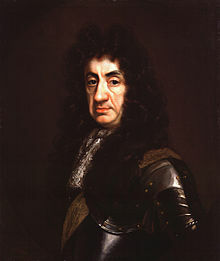 He died in 1685 and was succeded by his brother James Duke of York as he did not have legitimate issue from his marriage to Catherine of Braganza. "The motives which governed the political conduct of Charles the Second differed widely from those by which his predecessor and his successor were actuated. He was not a man to be imposed upon by the patriarchal theory of government and the doctrine of divine right. He was utterly without ambition. He detested business, and would sooner have abdicated his crown than have undergone the trouble of really directing the administration. Such was his aversion to toil, and such his ignorance of affairs, that the very clerks who attended him when he sate in council could not refrain from sneering at his frivolous remarks, and at his childish impatience. Neither gratitude nor revenge had any share in determining his course; for never was there a mind on which both services and injuries left such faint and transitory impressions. He wished merely to be a King such as Lewis the Fifteenth of France afterwards was; a King who could draw without limit on the treasury for the gratification of his private tastes, who could hire with wealth and honours persons capable of assisting him to kill the time, and who, even when the state was brought by maladministration to the depths of humiliation and to the brink of ruin, could still exclude unwelcome truth from the purlieus of his own seraglio, and refuse to see and hear whatever might disturb his luxurious repose. For these ends, and for these ends alone, he wished to obtain arbitrary power, if it could be obtained without risk or trouble. In the religious disputes which divided his Protestant subjects his conscience was not at all interested. For his opinions oscillated in contented suspense between infidelity and Popery. But, though his conscience was neutral in the quarrel between the Episcopalians and the Presbyterians, his taste was by no means so. His favourite vices were precisely those to which the Puritans were least indulgent. He could not get through one day without the help of diversions which the Puritans regarded as sinful." 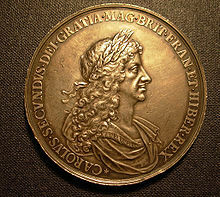 Many have judged Charles II far less harshly than Macaulay. See last chapter of Ollard's "Charles II" (1931)A good recent biography is "Royal Survivor" by Stephen Coote. For a more light-hearted vision of Charlie. 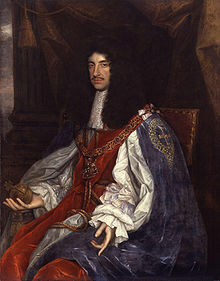 By my reckoning, Charles II is Prince Charles's 1st cousin 10 times removed. 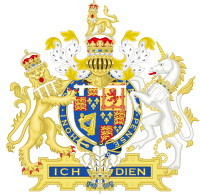 He's Diana Spencer's 8th Great-Grandfather (and therefore William and Harry's 9th Great-Grandfather) and Charles II is Sarah Ferguson's 10th Great-Grandfather (and therefore Beatrice and Eugine's 11th Great-Grandfather). Do correct me if I'm wrong! Charles Dickens didn't think to highly of the Merry Monarch. 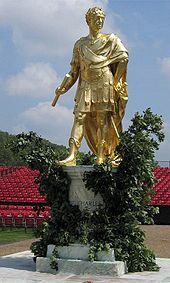 Updated list of biographies of Charles II. Charles fornicated while London burned, eh Nero. "Now I am speaking to you of My own good Husbandry, I must tell you, that will not be enough: I cannot but observe to you, that the whole Nation seems to Me a little corrupted in their Excess of Living. Sure all Men spend much more, in their Cloaths, in their Diet, in all their Expences, than they have used to do. I hope it hath only been the Excess of Joy, after so long Sufferings, that hath transported us to these other Excesses. But let us take Heed, that the Continuance of them doth not indeed corrupt our Natures. I do believe I have been faulty that Way Myself: I promise you, I will reform; and if you will join with Me in your several Capacities, We shall by Our Examples do more Good, both in City and Country, than any new Laws would do. I tell you again, I will do My Part; and I will tell some of you, if you do not yours. I hope the Laws I have passed this Day will produce some Reformation with reference to the Multitude of Beggars and poor People which infest the Kingdom. Great Severity must be used to those who love (Footnote *) Idleness, and refuse to work; and great Care and Charity towards those who are willing to work. I do very heartily recommend the Execution of those good Laws to your utmost Diligence; and I am sure I need not put you in Mind so to settle the Militia, that all seditious Insurrections may not only be prevented, to which the Minds of too many are inclined, but that the People may be without reasonable Apprehension of such Insecurity....."
From: 'House of Lords Journal Volume 11: 19 May 1662', Journal of the House of Lords: volume 11: 1660-1666, pp. 468-77. URL: http://www.british-history.ac.uk/report.asp?com.... Date accessed: 20 October 2005. Edited & with an introduction by Geoffrey Keynes, Los Angeles, 1951. With the original handwritten sidenotes. Two interesting views on the character of Charles II from two men who knew him. Gilbert Burnet included an assessment of Charles's character in his History of My Own Time, published in the 1720's. This earlier version (c.1683) is perhaps more revealing. Halifax was a minister of Charles during his last years and he thus writes from first hand experience. He had back stairs to convey informations to him, as well as for other uses; and though such informations are sometimes dangerous (especially to a prince that will not take the pains necessary to digest them) yet in the main that humour of hearing everybody against anybody kept those about him in more awe than they would have been without it. I do not believe that ever he trusted any man or any set of men so entirely as not to have some secrets in which they had no share; as this might make him less well served, so in some degree it might make him the less imposed upon." 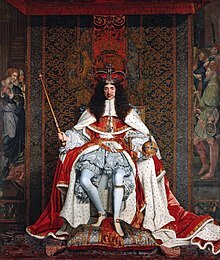 Charles II though a genius, acted in direct opposition to every principle of sound policy; and, even without propensity to tyranny, made no scruple of embracing such measures as were destructive to the civil and religious liberties of his people. He chose rather to be a pensioner to France, than the arbiter of Europe; and to sacrifice the independence of his kingdom, and the happiness of his subjects, than to remit his attachment to indolence and pleasure. He was gay, affable, and polite; and knew how to win the hearts, when he could no longer gain the esteem of mankind. He was so accustomed, for his own ease, to divest himself of his grandeur, that he seemed to have forgot what belonged to his dignity as a king. 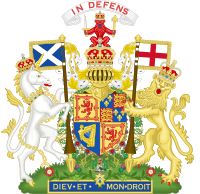 1630-1685, the King of England, Scotland and Ireland. His father, Charles I, was executed in 1649 but he didn't take his place until 1660, due to the intervention of Oliver Cromwell and the English Civil War.